One who rebukes a person— an "adam"— will in the end find more favor than one who flatters. Why rebuke “Adam”? Rav, the Jewish sage from the town of Sura (175–247 CE), taught: to exclude the angels — perfect beings have no need to receive rebuke and therefore no ability to give it. Only imperfect, mortal beings, such as Adam, can feel empathy, and there is no rebuke without empathy. While Rav taught that rebuke would exclude perfect beings, such as angels, Shmuel, Rav’s sparring partner, taught that rebuke excludes Satan. He explained that one cannot defeat evil with rebuke, because rebuke requires trust. But with evildoers, all trust has been destroyed. Therefore, until the trust is mended, one should not rebuke. That is why the text says (“makhalik”) — translated as “to flatter,” “to make slippery,” “to divide one’s heart,” or, more interpretively, “to crack open.” In the face of evil, language is powerless; all speech, even critical speech, is flattery, because the wicked thrive on criticism, and so disparaging them is only giving them what they want. Shmuel’s students continue to explain their teacher’s words: When we don’t confront a person directly, but rather make slippery, makhalik, our words, we are admitting that we don’t believe in personal transformation. In making that calculation, we are turning that person into “Satan.” So, giving rebuke is an act of chesed (lovingkindness), a way of affirming our confidence in the person. The difference between Adam and Satan is teshuvah (repentance). Adam was given two wills, a “yetzer ha-tov” and a “yetzer ha-ra,” and the ability to choose between them. Satan, by contrast, was only given one will. Giving rebuke is a tenuous art. Often, we have to balance complex calculations with unknown variables. Fundamentally, it is an act of vulnerability and a move toward relationship. When offering rebuke, the more transparent and vulnerable I am and the more I show concern for the one I’m rebuking, the more authentic and compelling my rebuke will be. And I need to know when not to give rebuke — when the tochecha is indifferent to the other person’s readiness to hear. In that situation, tochecha can be a form of manipulation or abuse. Sometimes, the best rebuke we can give is in the form of prayer: God, help this person hear what she needs to hear. Let her know that she is loved, that she can change, and that You are rooting for her. Many who learned the wisdom of the talmudic sage Shmuel became masters of rebuke. But they gave rebuke to the wrong people over the wrong issues. Some threw stones at cars on Shabbat; some threw chairs at women praying at the Kotel. Some threw breastfeeding mothers out of shul or gay couples out of the community. Others threw angry glances at those whose ideas they did not comprehend. 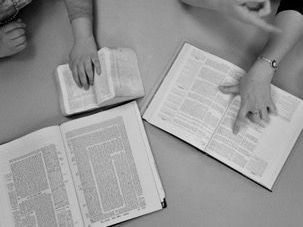 Some students of Shmuel made rebuke the central mitzvah of their lives, and it is hard to see how that kind of rebuke is an act of chesed, or lovingkindness. In one of the most painful ironies in God’s universe, the children of Israel failed to rebuke where it was most needed. A man discovered to be sexually abusing children was praised by his friends and family as a pillar of society rather than scorned. A rabbi who violated women at the mikvah was protected by his rabbinic peers, given senior positions in his community, and control over the most vulnerable women in his midst. In these instances, our rabbis flattered rather than rebuked. Many Jews are confused about the mitzvah of rebuke. We should embrace — not judge — cultural differences, and we should feel compassion — not scorn — for behaviors that we don’t understand and maybe don’t even like. For we are taught, “Love thy neighbor as thyself.” But actions that hurt other people demand loud, resounding, public rebuke — even if we have no connection to the victims, even if the abuser is a person of status and prestige. For that we are taught to protect those most vulnerable in our society. Be kind to strangers, for we were once strangers, too. By understanding tochecha as life affirming, spite and anger are no longer an option. In translation, “tochecha” becomes “rebuke” or “reprove” or even “scold.” But yelling at someone is not tochecha. Lashing out at someone is not tochecha. Tochecha begins from a place of wanting others to be at their best. And this is why we must offer tochecha to combat the banality of evil. Praying for teshuvah cannot substitute for explicitly speaking with the person who is in the wrong. That would allow us to transcend the suspicion and loneliness that hatred breeds. These are the small acts that defy evil. 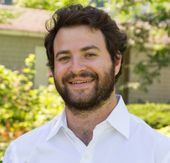 Zohar Atkins is a fourth-year rabbinical student at the Jewish Theological Seminary, a rabbinic intern at Romemu in New York, and a Wexner Graduate Fellow. He holds a doctorate in theology from Oxford University, where he was a Rhodes Scholar. His poetry has appeared in Haaretz, The Oxonian Review, Wave Composition, and elsewhere. 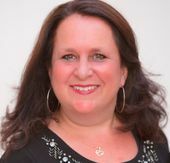 Dr. Elana Hope Sztokman is an award-winning Jewish feminist author, educator, speaker, and consultant. The founder of the Center for Jewish Feminism, she blogs at jewfem.com. 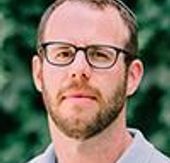 Rabbi Joshua Ladon is the San Francisco Bay Area manager for the Shalom Hartman Institute of North America. He holds rabbinical ordination from the Hartman Institute as well as a master’s degree in Jewish philosophy from Tel Aviv University. He is a doctoral student at the William Davidson Graduate School of Education at the Jewish Theological Seminary.